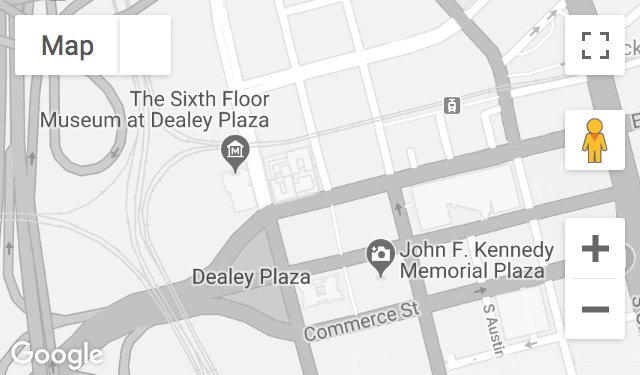 The Sixth Floor Museum paid tribute to both the Museum’s thirtieth anniversary and the fifty-fifth anniversary of the assassination of President John F. Kennedy. 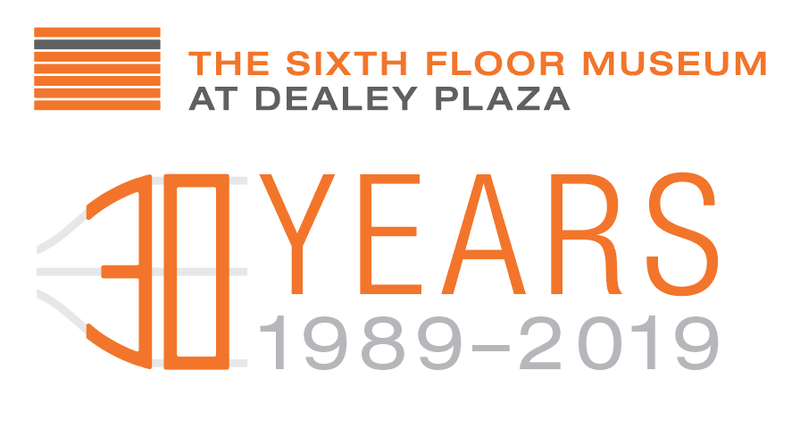 These special milestones were marked by a newly commissioned work “The Sixth Floor” written by award-winning Texas composer Jesus Martinez and performed by the Julius Quartet. Arranged in three movements, “Sniper’s Perch,” “A Nation in Crisis” and “The Legacy,” Martinez’s composition is a stirring journey from the darkest days of 1963 to a deeper understanding of the enduring legacy of President Kennedy and what lies beyond. Successful American leaders have always understood, respected -- and sometimes feared -- the power of the media in shaping and shifting public opinions and perceptions. For more than a hundred years, magazine publishers and politicians have had a symbiotic relationship. From Lincoln to Kennedy and beyond, an American president’s appearance on a magazine cover has generated increased sales and readership for the publication and heightened public awareness of the president’s platform and policies. On Monday, March 25, the Museum presented The Power of the Magazine Cover: Yesterday, Today and Tomorrow with Dr. Samir Husni. Known as Mr. Magazine™ and regarded as one of the nation’s foremost experts on print journalism, Dr. Husni took us on a journey through the history of American magazines, including the role magazine covers played in cementing the enduring mystique and legacy of President Kennedy. Perhaps the most photographed American president in history, President Kennedy appeared on magazine covers throughout his lifetime and over the past fifty-five years since his death. This special program included admission to the Museum’s temporary exhibit 55 Years, an installation of magazine covers featuring President Kennedy from 1963 to 2018. While President Kennedy’s image and influence have continued to be the focus of magazine articles over the years, 55 Years visually conveys how the symbolic memorialization of the 35th president has evolved over time. Bobbie Wygant joined Texas' first television station, WBAP-TV, in 1948, two weeks before it went on the air. During her remarkable and trailblazing career, spanning seventy years in broadcasting, Wygant interviewed thousands of notable entertainers and celebrities from Bette Davis to Charley Pride to Bradley Cooper. In 1960, she became the first woman in the southwest to host and produce a general interest talk show. Her popular midday program, Dateline, was live on the air when news broke of the assassination of President John F. Kennedy on November 22, 1963—which was also Wygant's birthday. Join us for an intimate conversation with this Emmy Award-winning living legend as she reflects on her storied career that spans the entire history of Texas television -- from the earliest days when home television sets were a luxury owned by few to the multibillion-dollar, omnipresent industry of today. This special program includes a wine reception, complimentary parking and admission to the Museum’s temporary exhibit 55 Years, an installation of magazine covers featuring President Kennedy from 1963 to 2018. While President Kennedy’s image and influence have continued to be the focus of magazine articles over the years, 55 Years visually conveys how the symbolic memorialization of the 35th president has evolved over time. 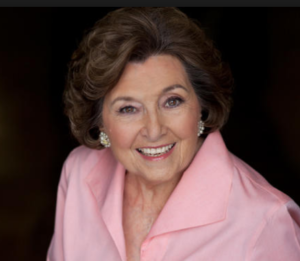 About Bobbie Wygant | Emmy award-winner Bobbie Wygant was the first Texas broadcaster and the sixteenth in the nation to be inducted into the prestigious Gold Circle of the National Academy of Television Arts and Sciences. When she joined WBAP-TV/Channel 5 (now KXAS-TV), it was the first television station west of the Mississippi. Initially, Wygant served a multitude of roles at the station, from being a staff writer to appearing in live commercials, but soon her talent for delivering captivating interviews with entertainers and celebrities became apparent. Known for her integrity and authenticity, she is credited by broadcasters such as Scott Pelley of CBS News’ 60 Minutes and Bob Schieffer, former host of CBS News’ Face the Nation, with setting the standards for generations of younger journalists who followed her. Bobbie Wygant is the author of Talking to the Stars. Pre-signed books will be available for purchase.